I got a Nismo Powerbrace off ebay for $130 shipped. It was used, had a stain on the right side but otherwise in great condition. 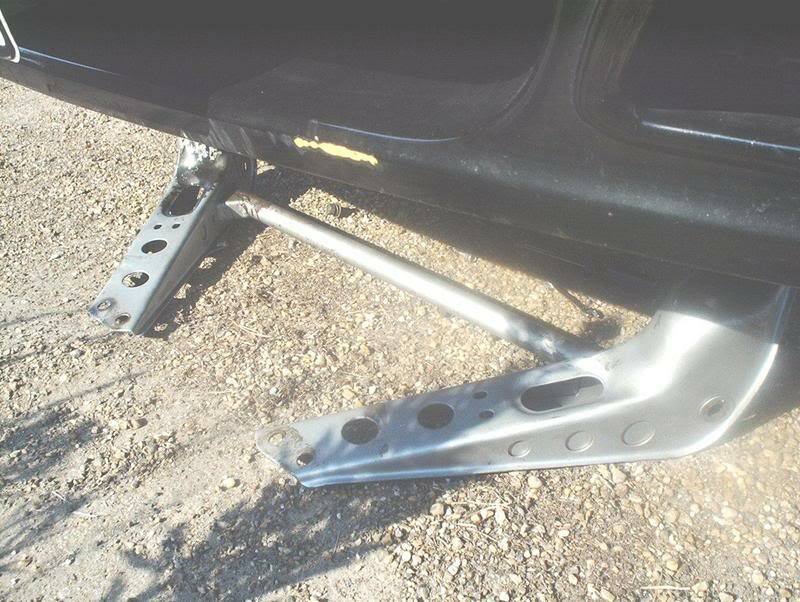 Start off by jacking up the car and placing jackstands in the appropriate places. 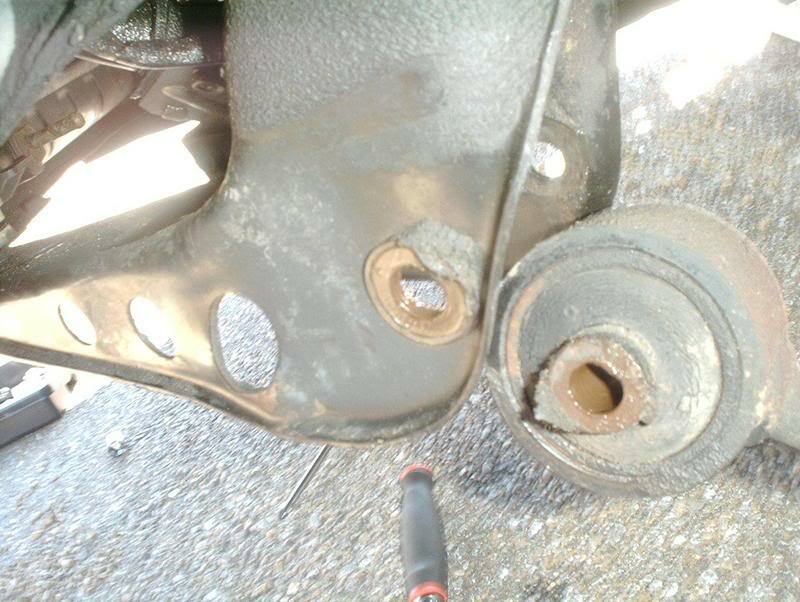 Stock tension control rod bracket. 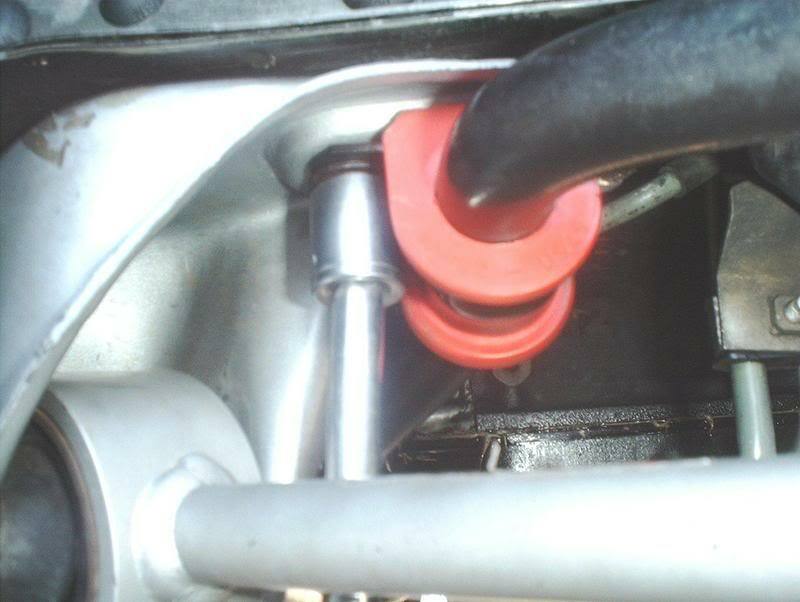 You need the 15mm socket to remove the stock tension control rod brackets. 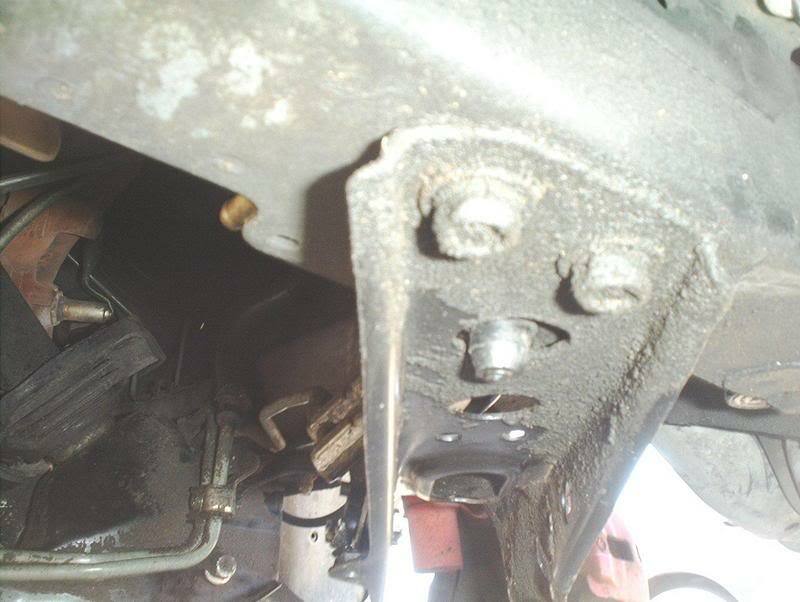 There are 4 bolts on the front of the stock tension control rod brackets that need to come off. 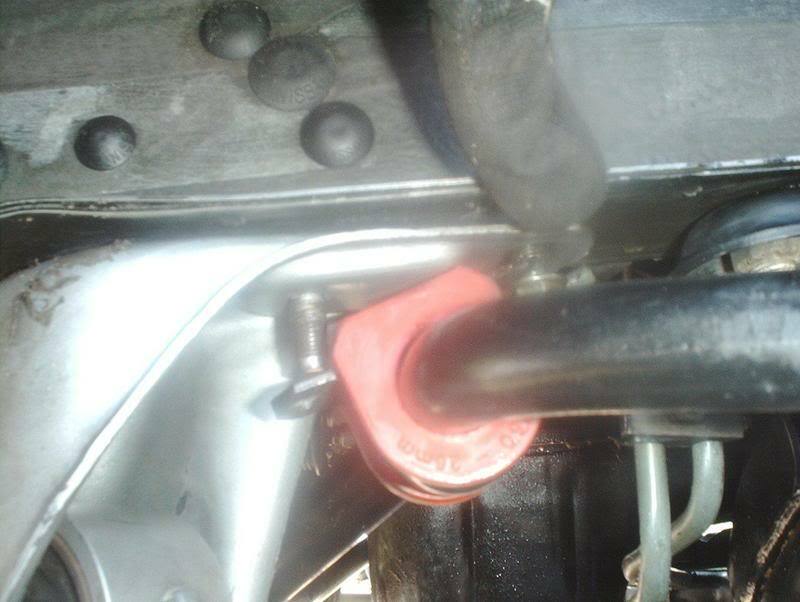 If you have powersteering, use a 10mm wrench to remove the powersteering pressure hose bracket from the stock tension control rod bracket. 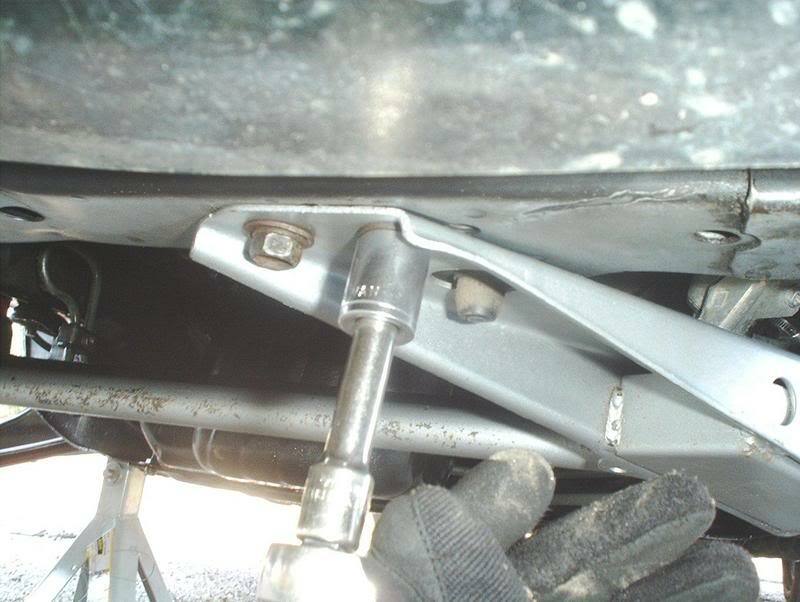 Next you need the 17mm socket and a 17mm wrench to remove the stock tension control rod bolt from the bracket. 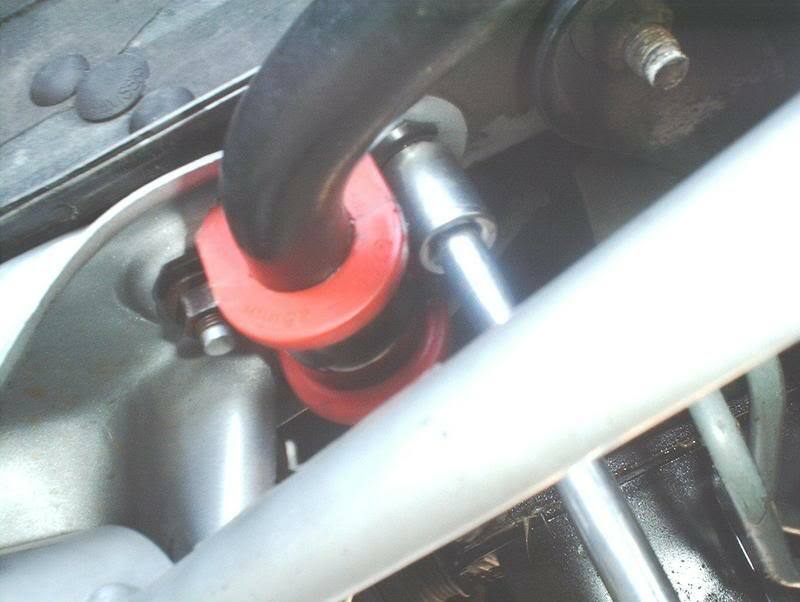 Use the wrench to keep the tension control rod nut from spinning while you remove the bolt. 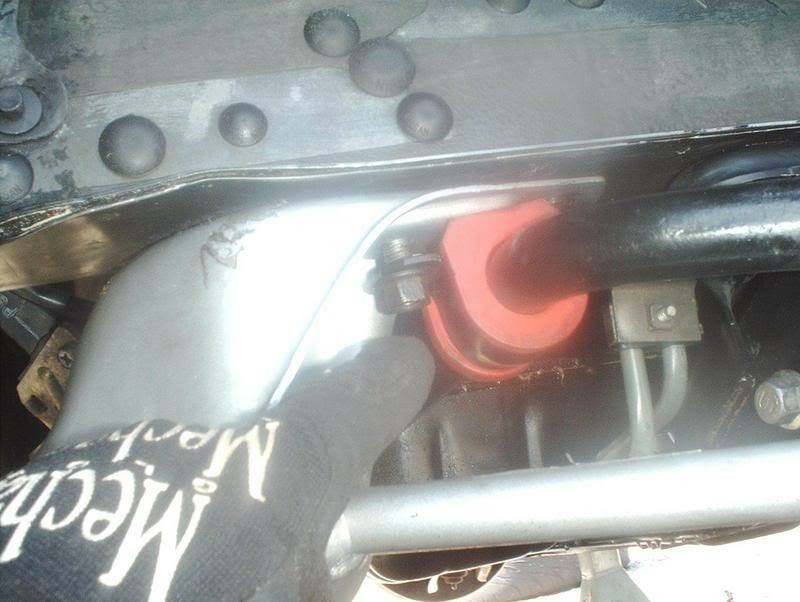 Use the 17mm socket again to remove the swaybar d-brackets from the tension control rod bracket then you can pull the bracket off the car. Repeat for the other side to remove the other tension control rod bracket. 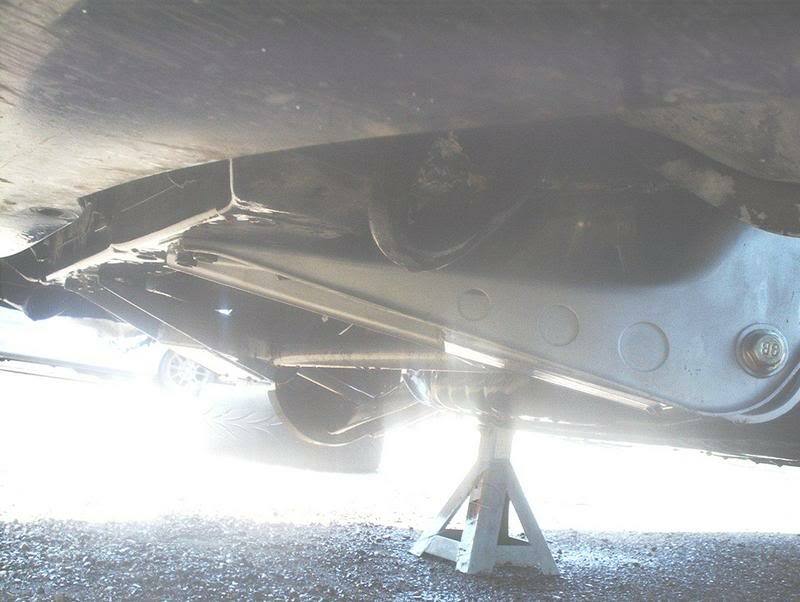 Now take the powerbrace and place it under the car. From this point forward, many people install the powerbrace many different ways but this is how I did it. Insert the T/C rod bolt, this will hold the brace in place. 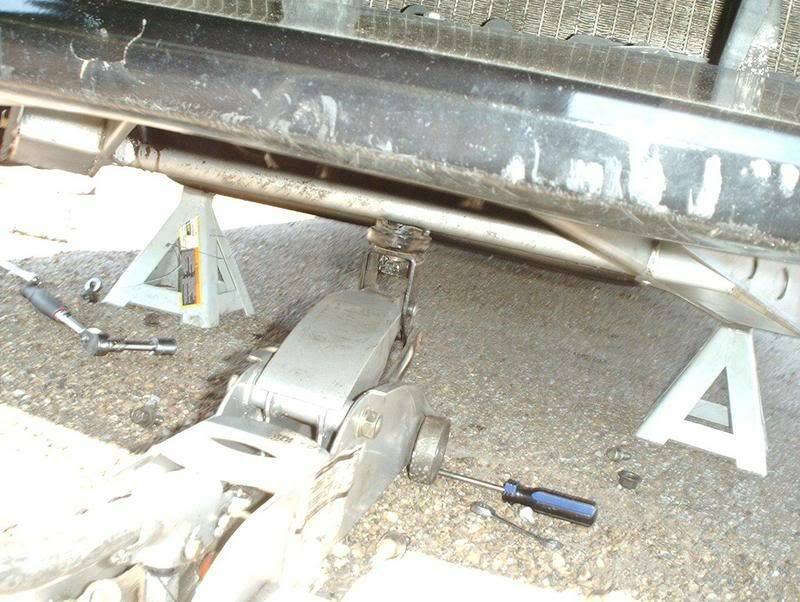 Then I used the jack to lift the brace up to the chassis so I would have my hands free to move it around if neccessary. 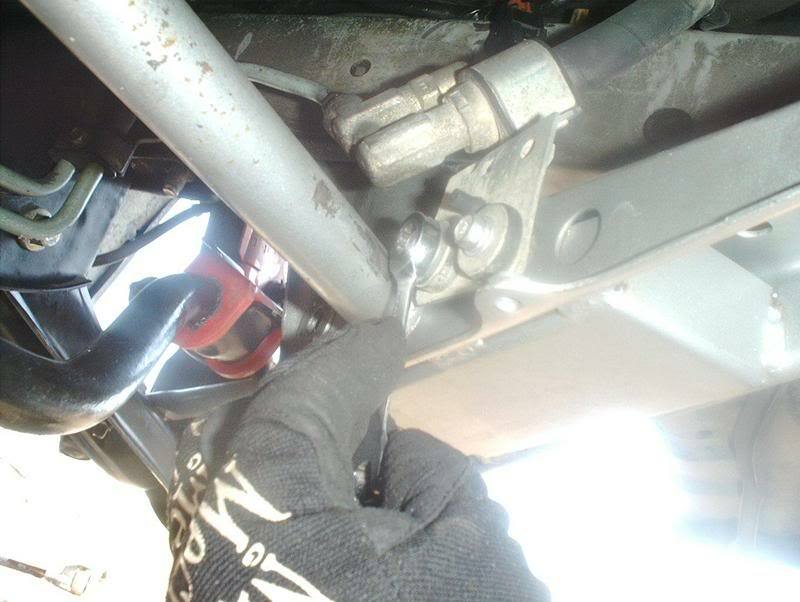 Go ahead and place this swaybar d-bracket bolt in but do not tighten it. Just get it threaded enough to hold the powerbrace. After that you can jack the powerbrace up as close to the chassis as you can get it. 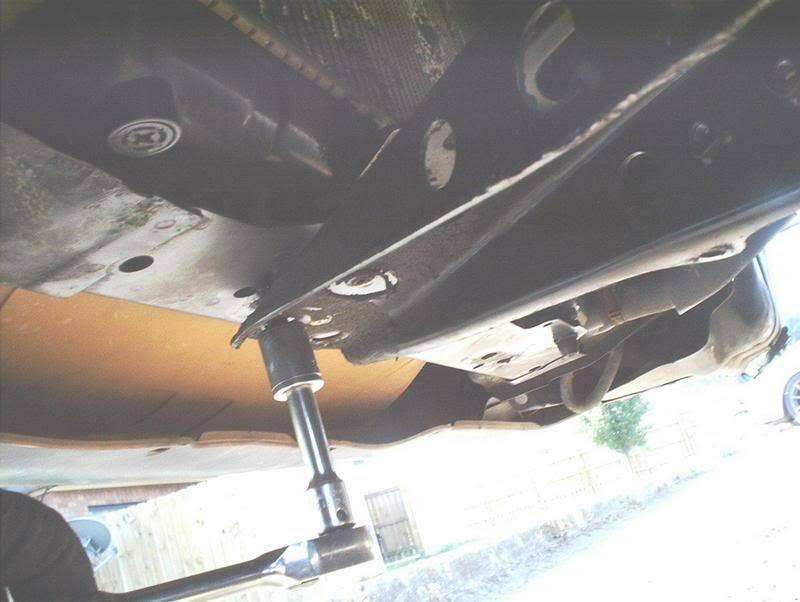 and put the second swaybar d-bracket bolt into place but do not tighten. 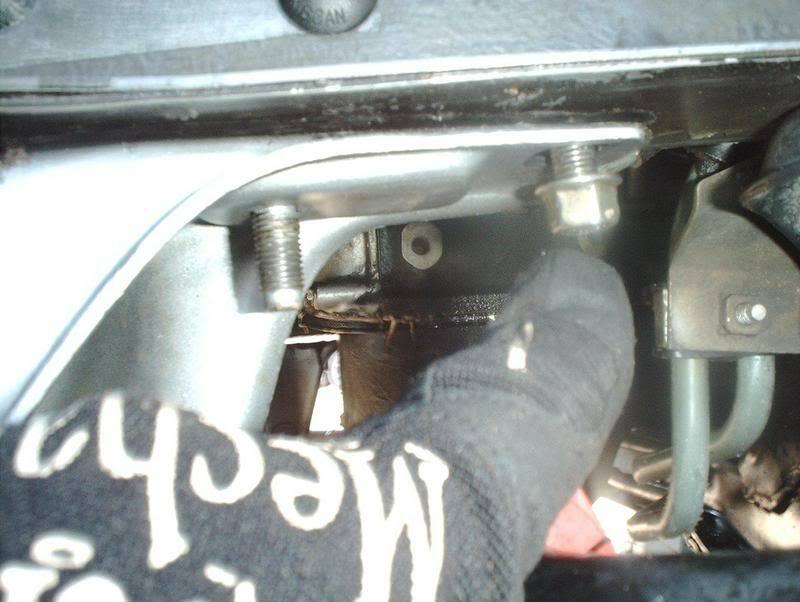 Insert the four bolts into the front of the powerbrace. You may have to manuever the front of the powerbrace a little to line it up with the four mounting points. 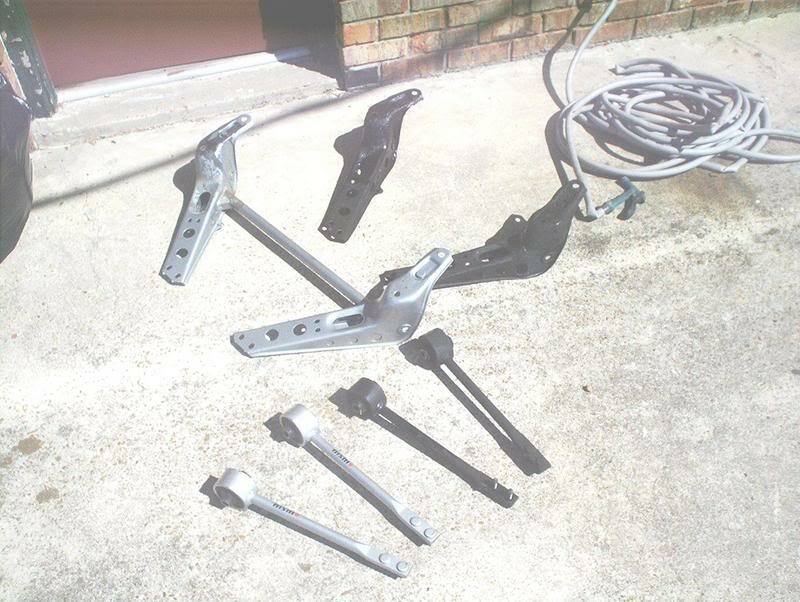 Torque these four bolts to 80-94ft.lbs. 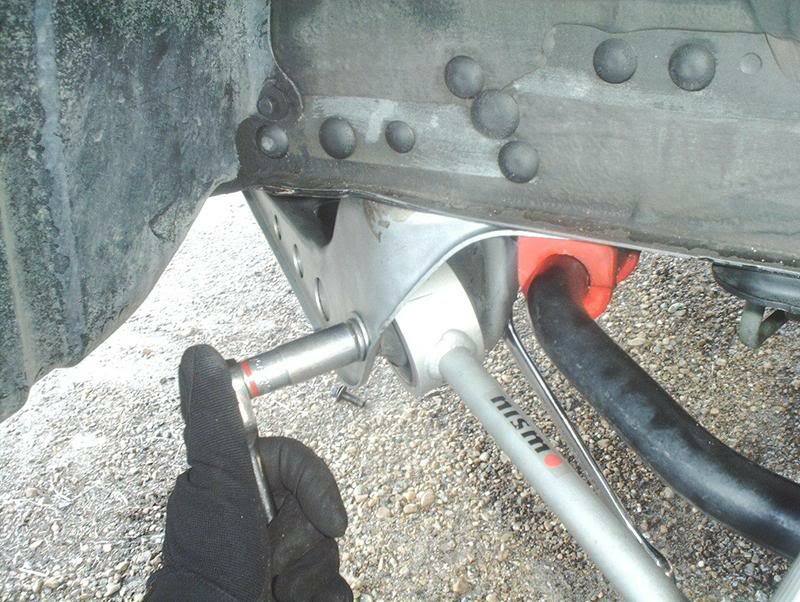 Tighten and torque the T/C rod bolts to 80-94ft.lbs. 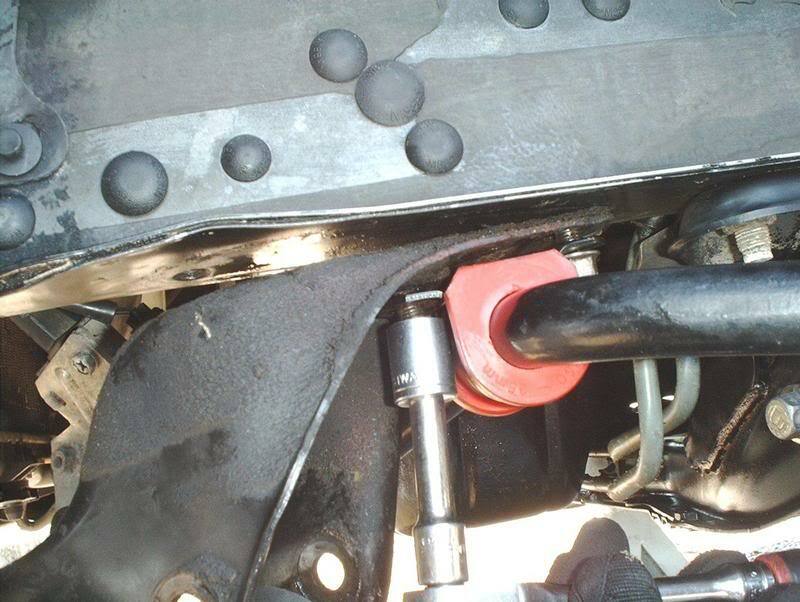 If you have powersteering don’t forget about bolting the powersteering pressure hose bracket to the powerbrace. 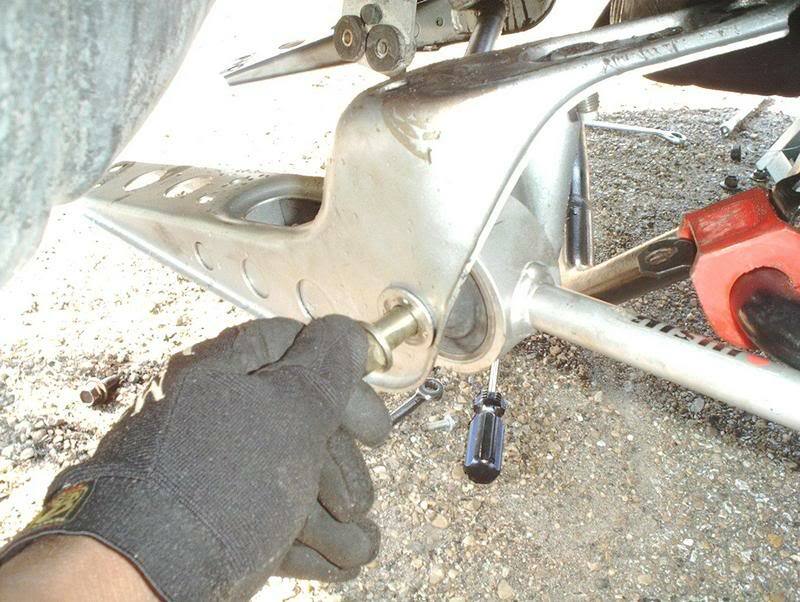 Use a 10mm wrench for two bolts. Finished! Put your wheels back on, lower the car and go for a drive!